• Welcome new series writer Michael Alan Nelson (Fall of Cthulhu, 28 Days Later)! 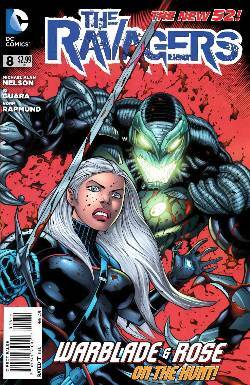 • Rose Wilson and Warblade are hunting a rogue Ravager when it accidentally infects an entire community! • What happens here will affect their future with the Colony forever!